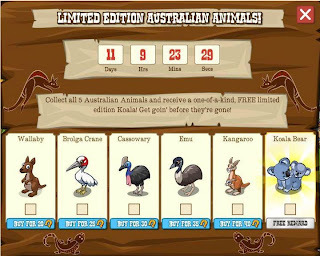 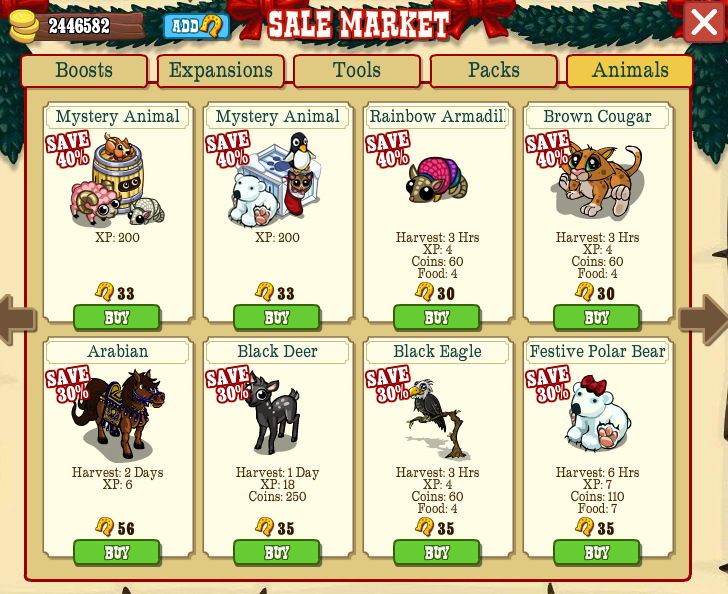 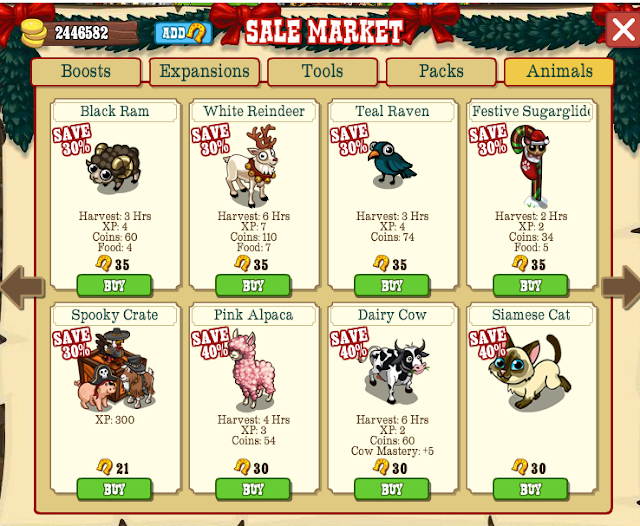 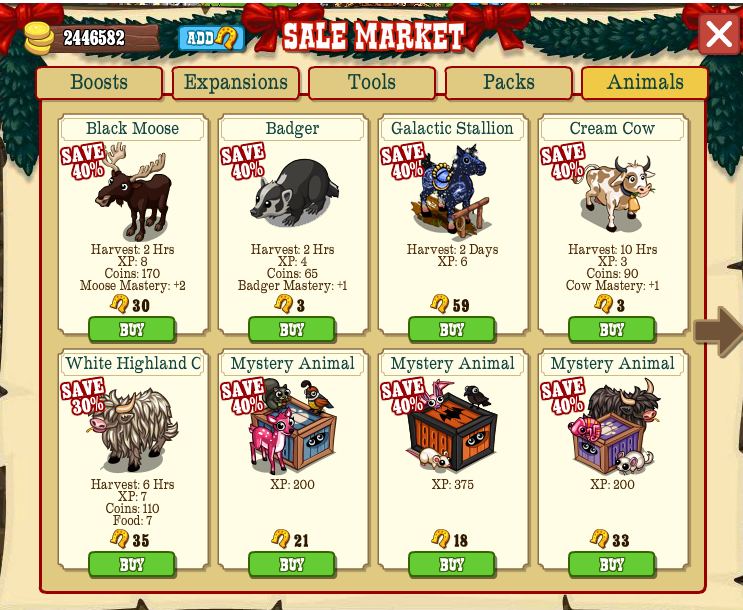 There is also a collection for these adorable animals! 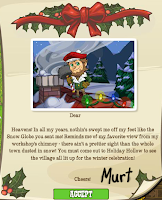 It's time to get the earmuffs our, wrap on the scarf and get ready for a chill! 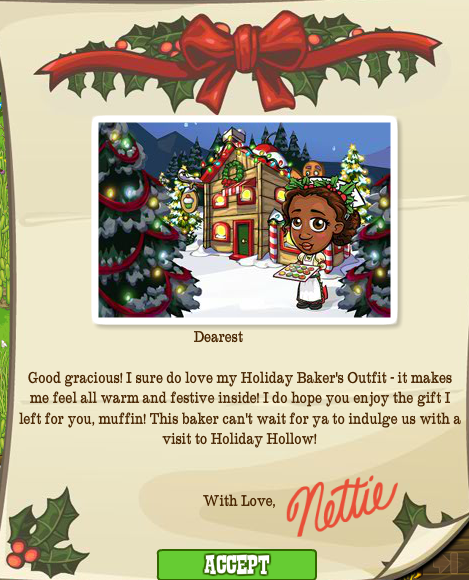 The Holiday Hollow is on it's way and we're getting a little happy introduction to three of the folks we'll meet on our journey to that snowy paradise of candy, Christmas and cold! 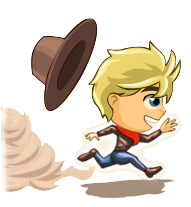 Which will kick off the start of a three mission series and introduce us to the Baker Nellie, who you may remember from a recent timed mission, Murt the Chimney Sweep and Harrison the Sweetshop owner! 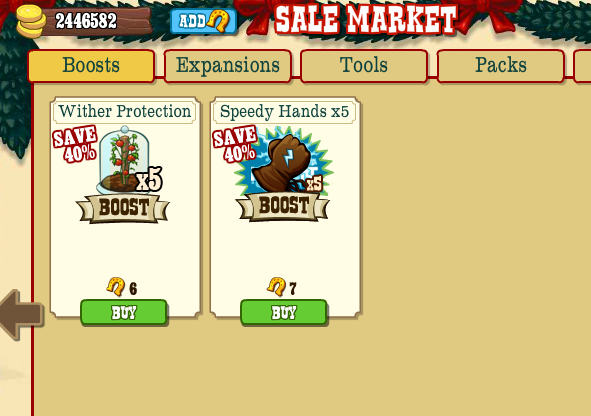 ...and two new collections to go with them! 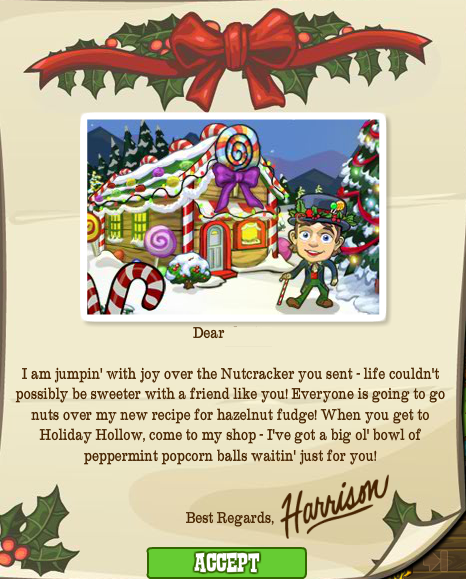 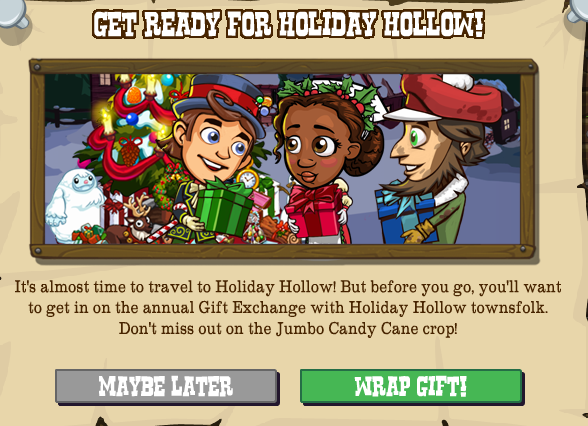 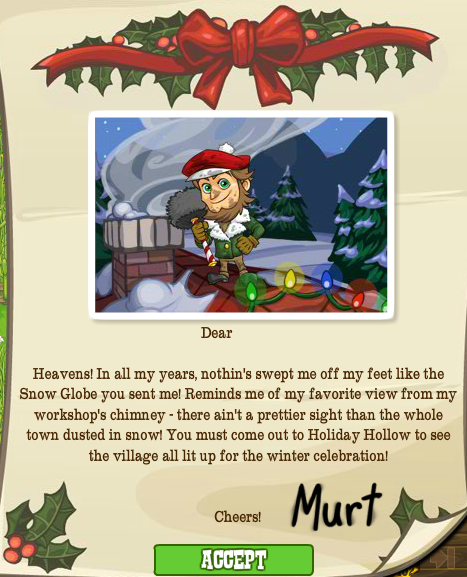 Looking forward to winter and the Holiday Hollow? Come let us know on our Facebook Page. 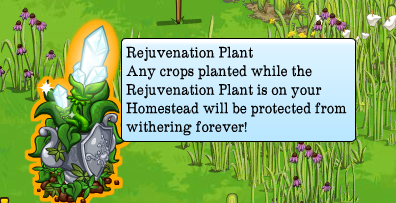 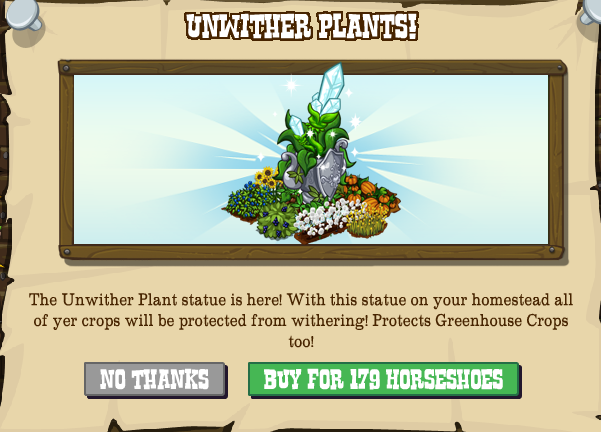 The Unwither Plant Statue is in the market, with this on your homestead your plants will never wither! 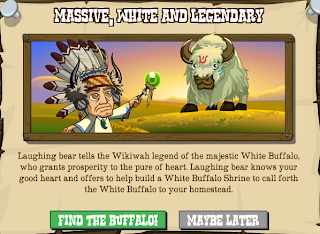 It's time for a little Native American assistance from an impressive source, the legendary White Buffalo of the Wikiwah tribe that grants prosperity to those who are pure of heart! 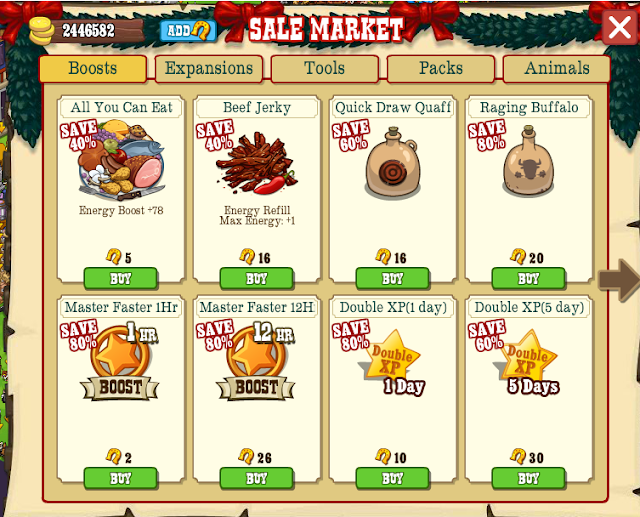 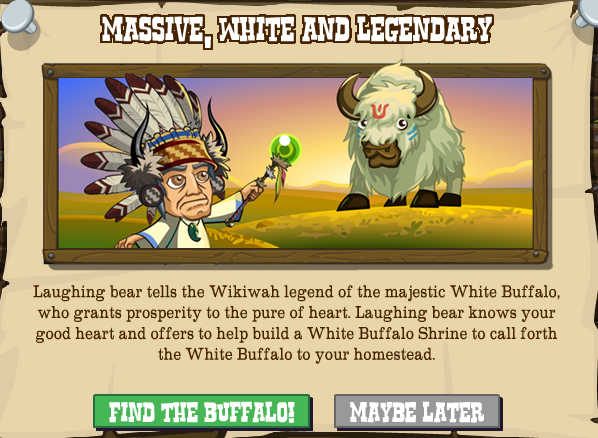 Laughing Bear has been so taken with your pioneer spirit, seeing how you run your homestead and fighting alongside you in the Ghost Town he's decided to help you build a White Buffalo Shrine and see if you can summon the great White Buffalo of Legend. The shrine is a very small footprint building that needs the usual 6 building items and comes with two associated missions. 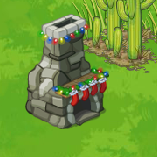 Once built you'll be able collect from the Shrine (And the White Buffalo itself when the missions are completed ) and possibly pick up a Gift of The White! 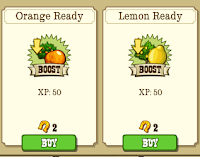 This is a potion that will double your speed and, much better, double your XP for two minutes! 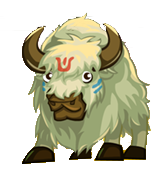 So, are you looking forward to summoning the White Buffalo of Wikiwah legend? 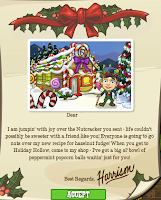 Let us know on our Facebook Page. 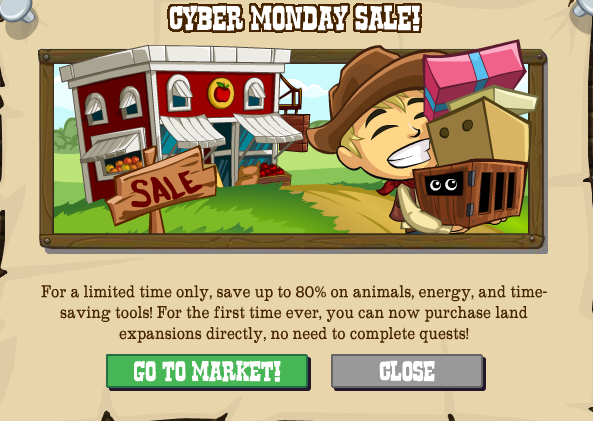 It's Cyber Monday, which means... Sale time! 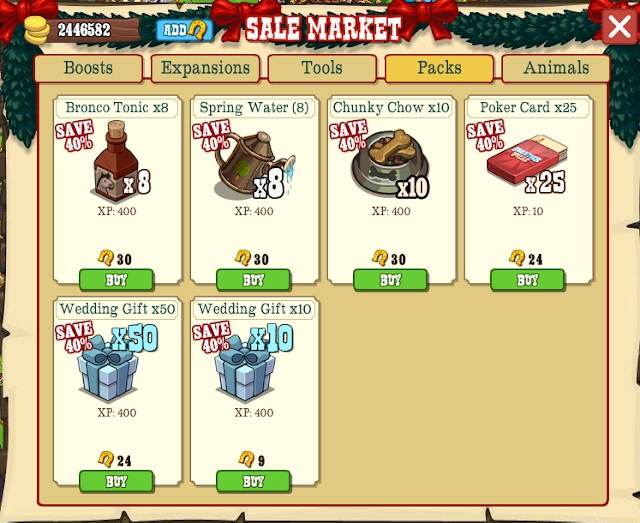 Please read this official Zynga announcement regarding requests, gifts and Facebook limits. 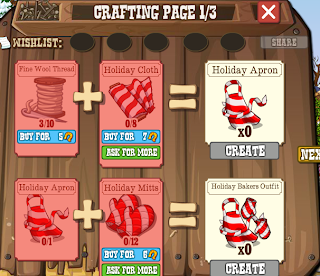 Facebook recently placed some changes with regards to gifting and “friend” request limits which have affected the way our users send gifts and friend/neighbor requests. What is the Facebook limit on sending gifts and “friend’ requests? 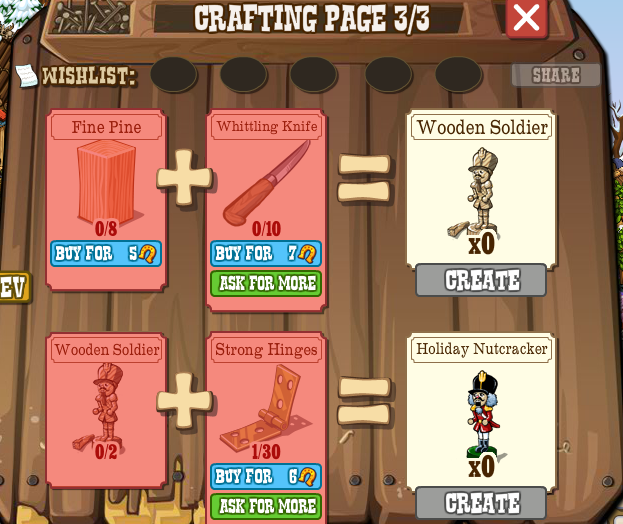 Facebook is the host application for our games and there are certain rules that we follow – these rules are put in place to ensure the best user experience and the least downtime possible. 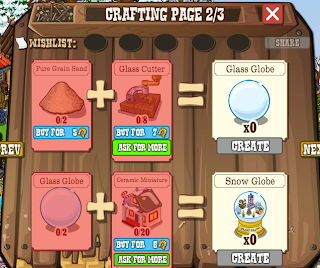 There is a “Per Game” limit as well as a Facebook limit of requests that you can send in one day. 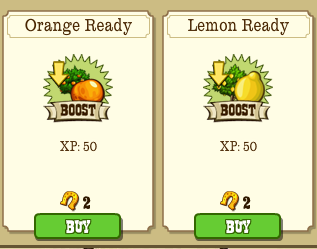 Both of these limits can be changed by Facebook without notice. 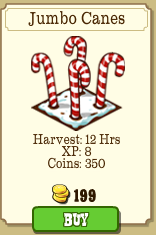 What this means: On a given day, if you send multiple requests (gift/friend) in one game, your per game limit for another application may be impacted. 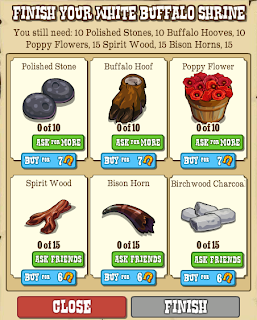 For example: Let’s say that Facebook has a daily limit set at 50 Friend Requests and I send out the Pioneer Trail maximum of 30 gifts and/or friend requests. 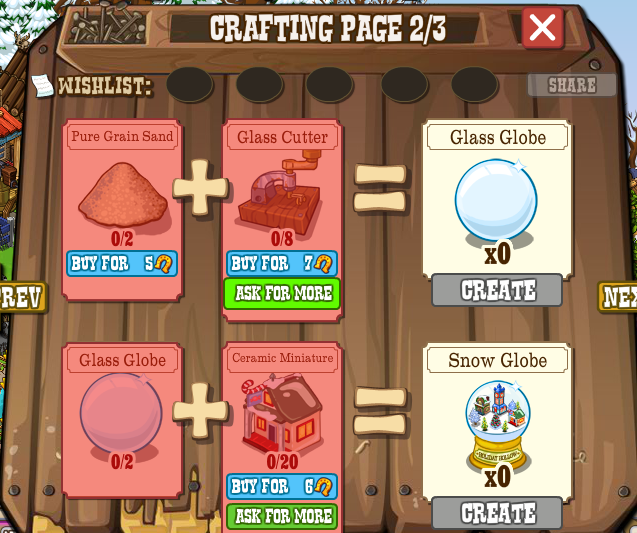 If I then switch games and play Cafe World, I will be unable to send out the Cafe Maximum of 24 Gifts/Neighbor requests because 24+30 = 54 and I would be exceeding the Facebook set limits. If you are having difficulties sending gifts or neighbor requests, it is quite possible that you have simply exceeded the Facebook daily limit. 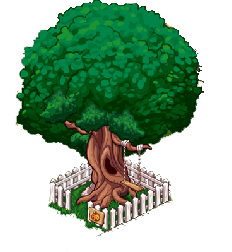 IMPORTANT: If you have been warned for exceeding this Facebook limit, please do not send or post any more messages with the same or similar content. 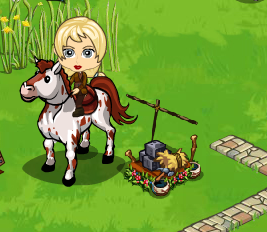 Spamming on Facebook will lead to your account being permanently disabled and Zynga will be unable to assist you in getting it back. 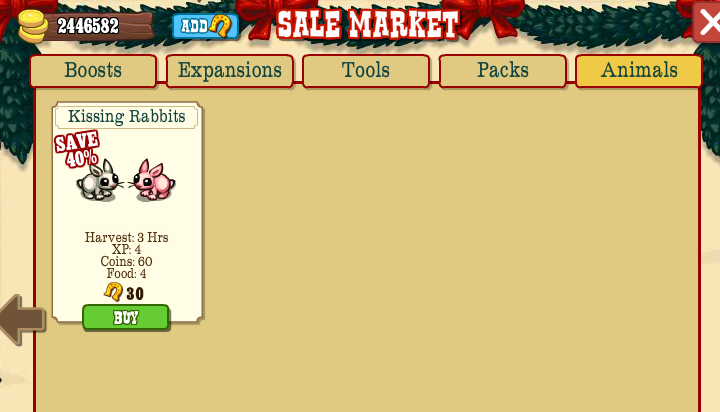 We are slowly introducing a new feature in which gifts and friends/neighbors can be accepted within the game interface rather than using Facebook’s page. Until we have rolled out fully, you may also see duplication of gift and friend/neighbor requests due to both Zynga’s in-game feature and Facebook’s page feature being live at the same time. 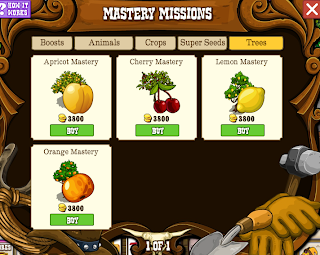 Well, If we weren't already fully fledged members of the 3F Club we sure should be soon... We've been mastering animals, mastering crops and there's just the one thing left, mastering fruit trees! 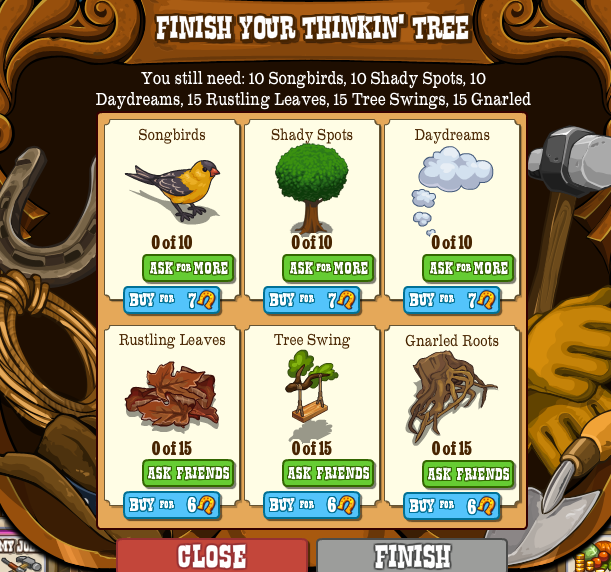 This is a pre-release image, part titles will vary in game. 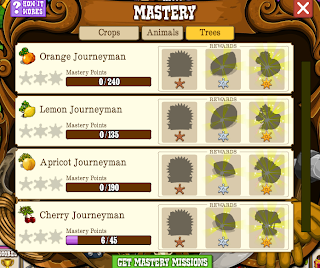 Once it's fully built we'll see a very familiar mechanic, tending to certain fruit trees (Cherry and Apricot, plus the new Orange and Lemon) will add mastery points, as will completing mastery missions, one for each tree type. 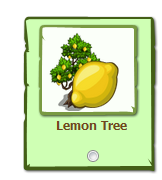 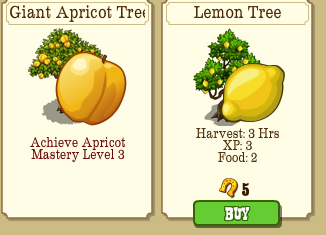 PLEASE NOTE: Do not start mastery missions if you don't have the trees to complete them - Orange trees cost horseshoes - Lemon trees do too, but they can be gifted. 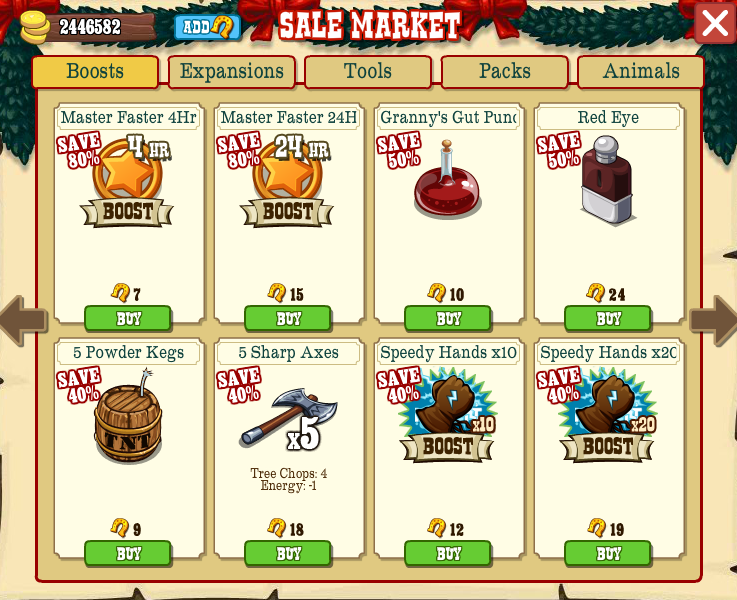 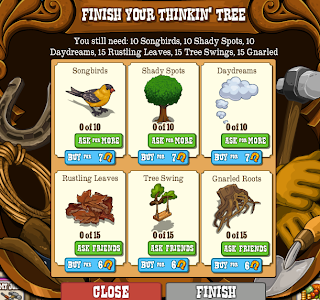 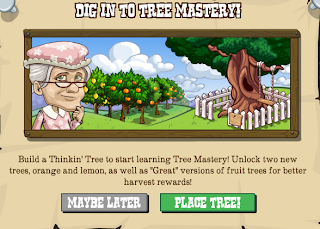 Once you reach the second level of mastery for a tree it will potentially drop seeds that can grow into normal, or even Giant versions of that tree, with the Giant versions giving much more reward for tending. 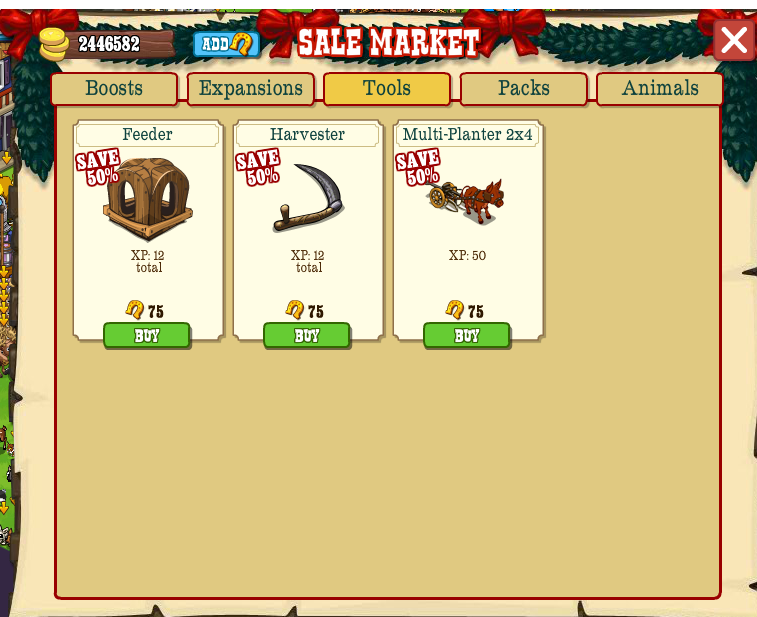 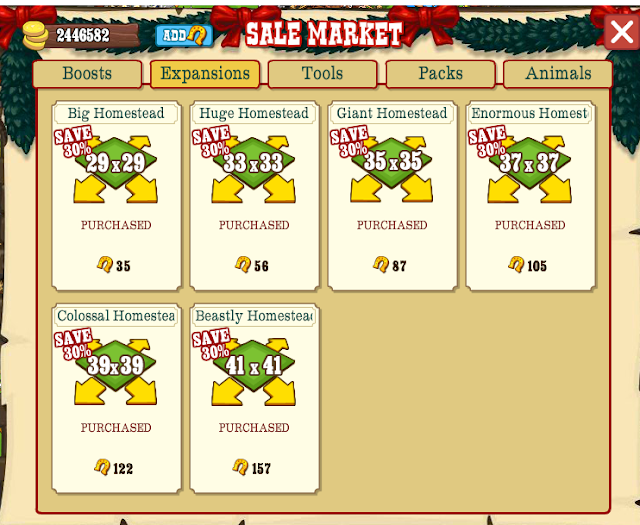 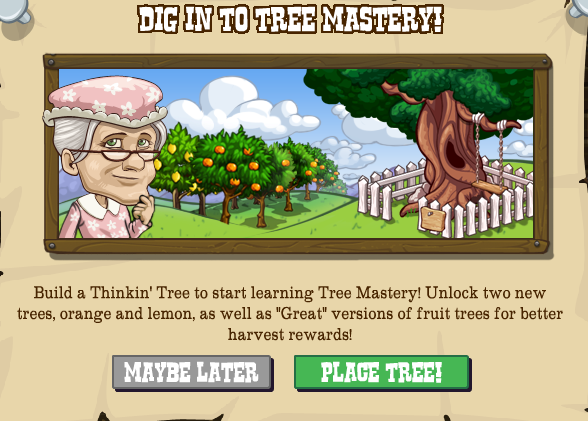 Included in the mastery are two new trees, Lemon and Orange trees along with buyable Giant Trees. So, what's your thoughts on Tree Mastery, come let us know on our Facebook Page. 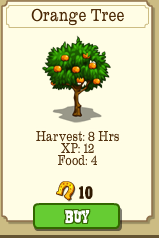 Give Thanks by Giving Food!